On a Tuesday, one of my most favourite fellow bloggers hosts a meme called Ten Things Tuesday. This is an open ended list link up where all you have to do is share a list of ten things. On a Tuesday. Actually the link up is open all week so how easy is that? And plus, who doesn't love a good list? I must confess it has actually been a few weeks since I have had ten things to share on a Tuesday but I am here today, well tonight, and that is all that matters. We all know the importance of making things matter. I started thinking of this post last night as I was writing my Me & YOU installment. I had foolishly thought I could get two posts out in the one sitting. Which may have been possible, had I not spent hours gazing through thousands of photos under the guise of filing them. Mind you this just had to be done so at least that little job is out the way. So what are the ten things I have to share, well read on and find out. I believe in fairy winkles. Actually that was just one of my dad's funny little sayings. It pops into my head whenever I hear the words I believe as whenever dad heard someone start to say I believe he would interject with I believe in fairy winkles. There were also a range of other occasions when my brother would also repeat the line. 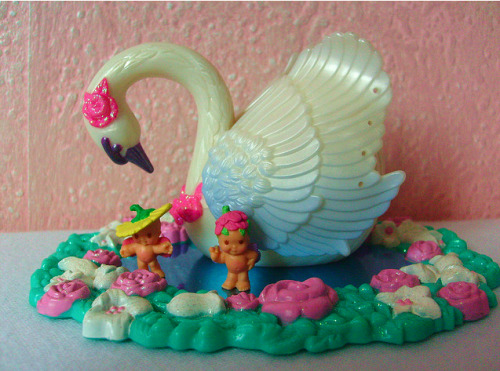 While writing this I Googled images for fairy winkles only to discover they are some little plastic toy from the 80's. Not exactly the image that I had in my mind. My fairy winkles are not baby like and wear beautiful flowing clothes. They both live amongst the flowers and have cool animal friends though so there are some similarities. I also believe in unicorns, elves, magical pixies, talking dolphins, enchanted forests and a whole collection of whimsical creatures, beings and far away places. I believe that when needed I can call on their help as well. I believe in good. I go looking for it all the time. Often in the most unexpected of places. Some might liken it to the silver lining or the like. You know the whole when life gives you lemons make lemonade, or look for tequila and salt depending on the situation at hand. If you look hard enough there is always a rainbow after the rain. I believe in love. It fixes everything. It is everything. Love is what makes the world go round. Love comforts like sunshine after summer rain. Without love, life is often not lived. Love takes many different forms and can be given in many different ways. Where ever and when ever I try to share the love that I have. I believe in balance. The yin and yang. For all the good there must be some bad. Without the bad we don't know the good. You only get what you put in and all that. I don't always balance as well as I should but that doesn't stop me from believing. I believe that once the balance is found happiness will take care of itself. I believe in taking chances. They often pay off. Especially if properly evaluated and researched. Sometimes life just calls for jumping in the deep end and hoping for the best. It builds character. I believe in doing the right thing. As long as you do right by others, others will do right by you. Actually sometimes they won't but you should still always do right by them. Sometimes I am not really sure why but it is the right thing to do. There are enough awful people out there doing the wrong thing and making things worse. I do not need to intentionally be part of that group. I believe in honesty. There have been times in my life when it was nothing more than a lie. Everything that came out of my mouth was a lie. I had so many different lies going on I barely knew what the truth was. I was young, working this thing called life out. Finding myself and all that. I have learnt the error of my ways. An open honest life, free from lies is the life to lead. By being honest with not just others but also myself I believe that I am walking the path to fulfilment. I believe in religion. It is important to have something to believe in. It helps provide hope. Without hope we are hopeless and no one wants to be that. Not only do I believe in religion I believe in you have a choice as to what that religion is (barring some extremist faction rubbish that doesn't really have the world at large in mind). I believe in God, but not at the expense of all else. I have whole range of higher powers that I seek in times of need and thank in times of joy. I believe in the power of thought. The Secret, The Power of Attraction, what ever you want to call it I don't mind. A name is a name. The principles are all the same. I don't always practice it as much as I should but I do believe you can call upon powers that be to help out in times of need. What I don't know though is why it only seems to work for some. I believe in leading by example. It is not always as easily done as what it is said but it is always possible. I think that as I grow as a mother the importance of leading by example becomes more and more obvious. It is an area that I still need to work on greatly but I am confident of tackling. So there you have it, ten things that I believe in. I probably have another ten in me but I will save them for another day. Can you think of ten things to share?